For years, I have trained by myself not wanting to train with anyone else for fear that my training sessions wouldn’t be as productive. But I was proved very wrong recently, when after much persistence, I finally agreed to join a friend (also fellow coach at UFIT) for a workout. Only minutes into the workout, I very quickly realised what I have been missing out on. There was no time to scroll through Instagram or get distracted staring out of the window. The pace of the workout was fast, it was very much ‘You go, I go’, back and forth for an hour. I was well and truly taken out of my comfort zone. We pushed and pulled heavy sleds, picked up and carried heavy objects, all exercises that I would never include in my own training. Why? Because they’re really hard and uncomfortable to do! But that likely also mean that they are good for me. 1. It is fun! You should enjoy your workouts, and you are going to be more likely to stick with exercise in the long term if you enjoy it. Consistency with training (and also nutrition) is everything if you are looking to improve your body composition, health and fitness. 2. It’s very motivating to train with someone who pushes themselves as hard as they can every workout. You can feed off their energy and this can make for extremely productive workouts. We all have that voice in our head that starts screaming at you to give up when the workout starts to get difficult. Having a buddy beside you who is not going to give up will motivate you to stick with it when it gets hard. 3. 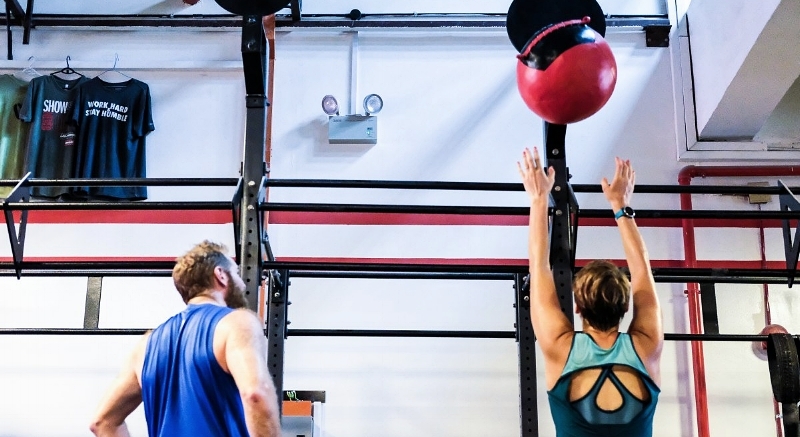 Training with a buddy increases accountability. Having someone to train with, someone who is waiting for you at the gym or outside your house to collect you and bring you to the gym is tremendously valuable. You now have someone in your corner who is relying on you to show up. The last thing a friend wants to do is let another friend down. You are going to be much less likely to skip your workout when you don’t feel like it because you will be letting your buddy down if you do. 4. Your workouts can be a lot more productive if you train with a good training partner. If you are training by yourself, it can be very easy to rest a little too long between sets. When you are training with a buddy who is focused and there to work hard, then there is no time for distractions. You can squeeze a lot of work in and burn through a lot more calories in a shorter amount of time. Many of us are busy and we don’t have hours each week to spend in the gym. So why not grab a buddy, someone who will save the chit-chat until after the workout is complete, and give the below workout a try. Here’s a sample workout to get you started. But feel free to get creative and see what you can come up with your buddy! This workout is designed to work all the major muscle groups in the body and is perfect if you are looking for a workout that will get your heart rate up and burn a lot of calories. The workout comprises of 4 stations. Each station will last 7 minutes, so you will need a timer handy. Partner 1 will perform the first exercise (A1) and partner 2 will perform the second exercise (A2) and only stops when partner 1 has completed the prescribed number of reps.
Now swap around and repeat. Lastly, you will perform the final exercise (A3) together for the prescribed number of reps/distance. See how many rounds you can complete in the 7 minutes, with as little rest time as possible. Once the 7 minutes is up, rest 2-3 minutes before moving on to the next station. 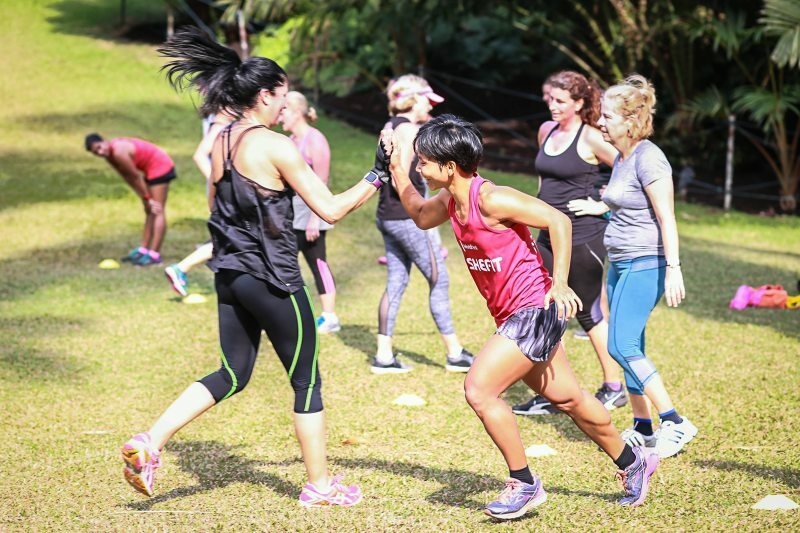 Grab a buddy and get started on your journey to a fitter, leaner, and stronger you today! 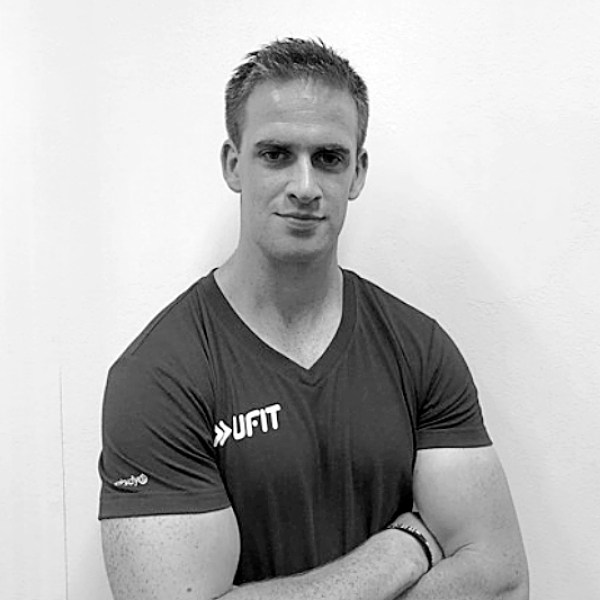 Alan Fanning is a Personal Trainer at UFIT Tanjong Pagar. He has worked as a Personal Trainer in cities in New Zealand, Australia, and the UK. He also spent several months travelling and interning at gyms around the United States, meeting and learning from the best people in the industry, after which, spending nearly two years with the national Tennis Ireland Team helping them improve their physical performance. Alan’s personal fitness goal is to achieve the best physique he can while staying fit and most importantly – injury free. Being fit and healthy to him means finding a form of exercise that he enjoys, and staying consistent with it. His strength as a trainer is in his ability to understand his clients and gain their trust. Alan loves being a part of his clients’ progress, not only the physical changes as they lose weight and build muscles, but he loves seeing how people become more confident in themselves and just generally loving life!